When it comes to finding Amish furniture, Columbus Ohio residents know the name they can trust. For almost two decades now Amish Originals Furniture Company has been serving their customers and exceeding their expectations. We take pride and stand behind every aspect of the shopping experience we offer Ohio residents. It is not just about selling to customers; it’s about taking care of our very own Ohio friends and neighbors, which is part of the reason we take such pride in also working with more than 70 local Northeast Ohio Amish families to bring you the best selections available. You get quality service, selection and craftsmanship when you shop at Amish Originals. You can walk into any furniture store and walk out with the same exact pieces any one else does. 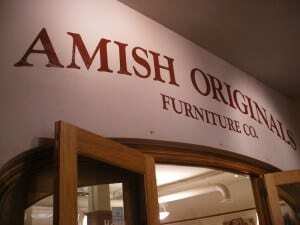 At Amish Originals Furniture Company, your quality selections are hand built once you place your order. What that means is that you truly are ordering one of a kind, handcrafted furniture to make your home as unique as it will be comfortable and classic looking. Choose your wood and finish, and then let your individual quality service continue as your pieces are built to your specifications. Since our doors first opened in 1992, residents from Columbus Ohio, as well as all over the state, have been relying on us for their Amish furnishing needs. Once you get a taste of the look this type of furniture can add to your home, you will understand why this is such a preferred home décor look. You can also be certain that the high level of quality means you are investing in pieces that will not only last but will be handed down for generations to come. Few furniture manufacturers can make that claim anymore these days. By taking a peek at what our Westerville Ohio showroom has to offer, you get a strong sense of how truly classic Amish furniture is. You understand the best Amish furniture Columbus Ohio residents choose and why. Come see the beauty that kiln-dried American hardwoods become from the skilled and masterful hands of the Amish and their time honored traditions. Of course you will also enjoy the fact that the level of customer service you receive is the best around. Want to find out in advance about our new products or sales events? Make sure you know what upcoming and ongoing specials or events we have happening at Amish Originals Furniture Company by signing up for our newsletter. Just provide us with a little bit of information, and you can receive emails notifications just to find out about upcoming sales or the anticipated arrival of new furniture. Rely on Amish Originals for the best selection, service and end product. Come by today to find out how to personalize your home with the finest, built-to-order creations. For Amish furniture, Columbus Ohio residents rely on the one of a kind quality pieces from Amish Originals.